Prime Time Shuttle Rattan Joea Style! Watching the Super Bowl, the yearly championship game of the American professional football league NFL, is not like watching any sports on TV. For the Americans it is an annual event to celebrate, a contemporary part of American culture, an annual ritual with flowing wines and frying wings, barbecued plain or buffalo style (chicken wings though!). People gather in sports bars, night clubs, and at home surrounded by friends and family. Super bowl falls on a Sunday, making it easy for everyone to watch without taking a day off from work. The owner of Prime Time Shuttle- one of the top two airport shuttle companies in the nation, Mr. Rattan Joea, celebrated this event by inviting his friends which included some local dignitaries (names not mentioned for privacy) to his home in the scenic foothills of the northern Los Angeles. Guests started arriving around 2:30 PM from far and wide, some of them from the East Coast such as North Carolina and New York. The multi-ethnic guests (Indians, Spanish, and Anglos) included mayors, leading businessmen, and other dignitaries. They enjoyed watching the game in a relaxed atmosphere with snacks such as chicken wings, chips and dips, samosas, and drinks. 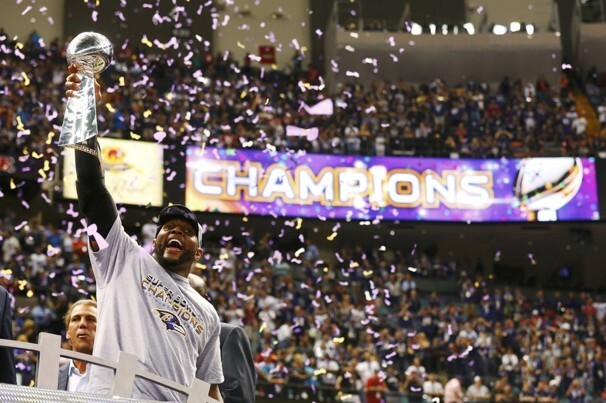 This year a third of the American population, about 120 million people were watching Super Bowl XLVII on February 3, 2013 at the end of the 2012 season. It is reported that more people were rallying for the San Francisco 49ers only to see them lose to the Baltimore Ravens. The Ravens started advancing against the 49ers quickly with a wide margin and maintained the lead for until late in the second quarter, when 49ers made a quick comeback, but too late to win. The game was played at the Mercedes- Benz Superdome, with a final score of Baltimore Ravens: 34 and San Francisco 49ers: 31, a very close game. Joe Flacco, the Ravens Quarterback, is this year’s Super Bowl Most Valuable Player (MVP), The popular singer Beyonce was part of the Half Time Show after the second quarter. Some of this year’s commercials coughing up the millions of dollars for 30 second spots provoked some controversy of being racy or too outrageous for mainstream television. The game was followed by a dinner catered from an Indian restaurant. Rattan then personally thanked everyone as they left around 8 PM. It was a memorable Super Bowl Sunday, with guests discussing the current season while throwing friendly punches about what the next season might be like. 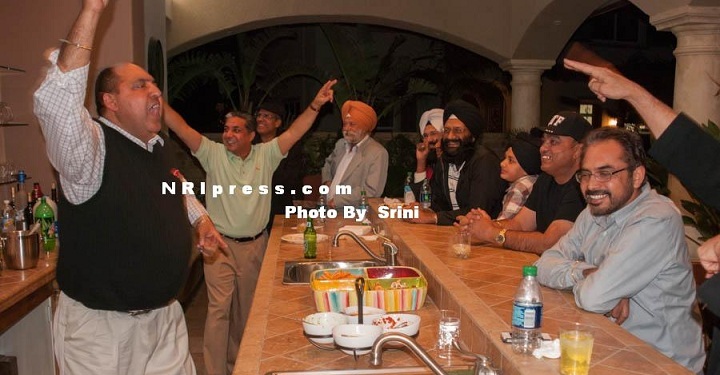 This is just an example of how one group of NRIs (Non Resident Indians), or more appropriately Americans of Indian Origin celebrated Super Bowl Sunday.